Over 130 Mayors, Deputy Mayors, representatives of local governments and local government associations from the whole South-East Europe (SEE) met in Sarajevo, Bosnia and Herzegovina on 10 and 11 April 2014 on the occasion of the IX General Assembly of their umbrella organization, the Network of Associations of Local Authorities of South-East Europe (NALAS) and a conference focusing on the role of local governments in addressing increasing social demand. 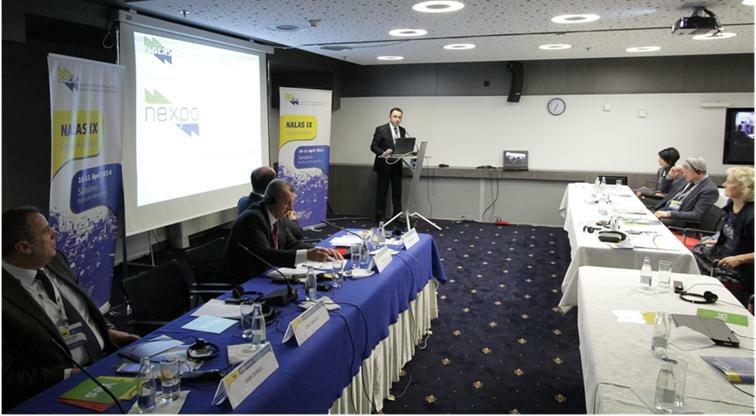 During the IX NALAS General Assembly, Mr. Djuro Bukvic, Mayor of Lukac Municipality, Croatia, was appointed a new NALAS President. 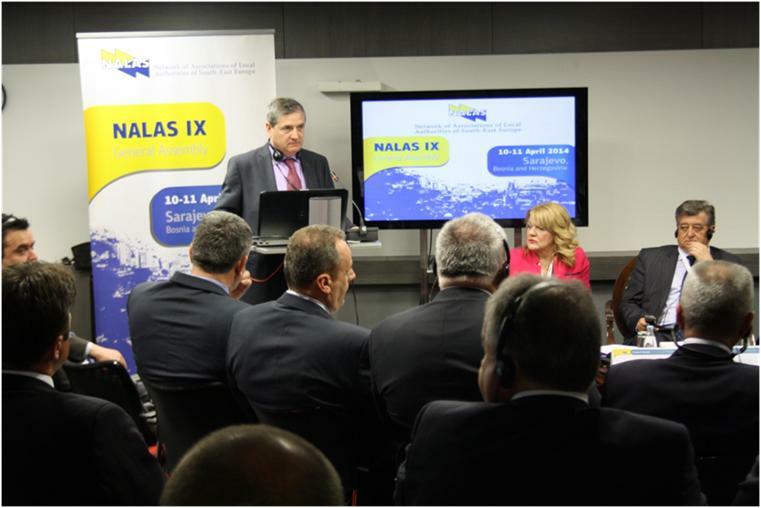 "In the past years, thanks to the joint efforts of different institutions and individuals, including all my predecessors at the position of NALAS President, NALAS has been successfully positioned in two ways: as a relevant knowledge centre and respected representative of associations of local governments and local governments of South East Europe", said Mr. Bukvic in his first speech as NALAS President. "In the European context, as natural environment, our Network is by its core values recognized as a unique tool for exchanging best practices. By all this, we could conclude that NALAS has grown into an ambitious organization with increasing influence and strong advocating power. Our objectives for the future remain the same: strengthening the democratic institutions, empowering the process of decentralization, so that the local governments function in a sustainable manner, for the benefit of the citizens, networking and continuation of the Euro-integration processes", concluded Mr. Bukvic. "I was very happy to work with NALAS. The support and collaboration with the NALAS Secretariat was very good and eased my engagement as NALAS President. I am grateful for this support and collaboration in all the tasks I completed. I believe that the new President will do a good job too. We know, we are passing by, we are coming and leaving, but NALAS remains. I hope that NALAS will be so and more successful in the future, as it was until today. Thank you! 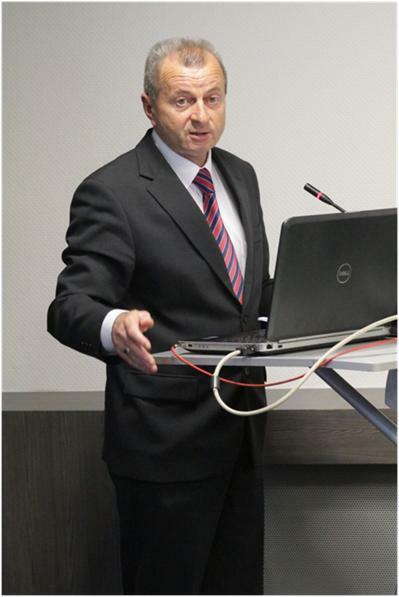 ", said Mr. Peršak in the speech that concluded his engagement as NALAS President. Along with the new President, NALAS appointed three Vice-Presidents, who will represent the political level of NALAS in the upcoming years. 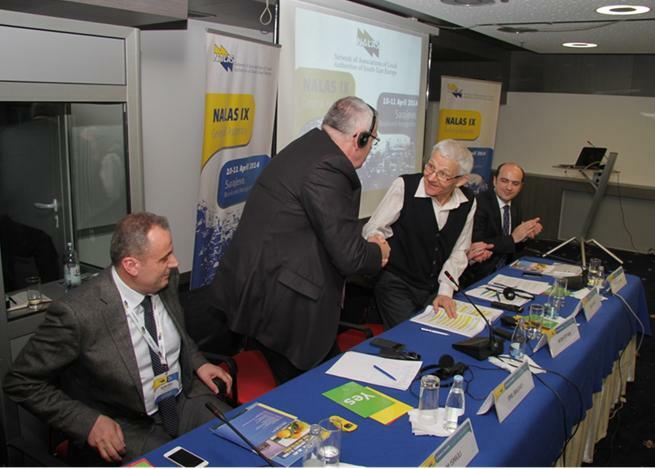 Mr. Emil Draghici, Mayor of Vulcana Bai and President of the Association of Communes of Romania became the First Vice President of NALAS. Mr. Naim Ismajli, Mayor of Shtime Municipality and President of the Board of the Association of Kosovo Municipalities become Second Vice President, while Mr. Mico Micic, Mayor of Bjelina, Bosnia and Herzegovina and President of the Association of Local Governments of the Republic of Srpska was appointed the Third Vice President of NALAS. 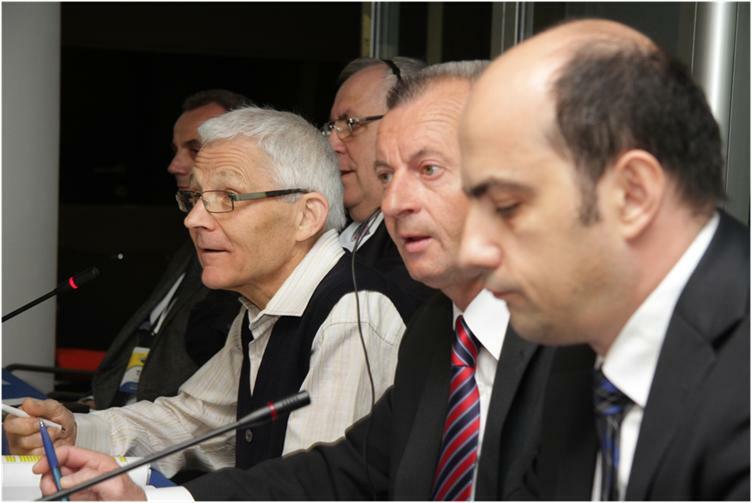 In 2011, NALAS introduced a new, rotation presidency system, where the President serves for one year, accompanied by the First, Second and Third Vice-President, who later on become NALAS Presidents. 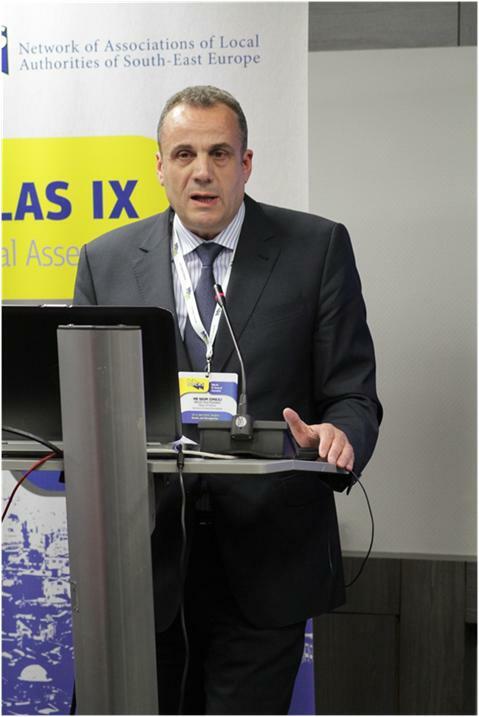 At the IX General Assembly, NALAS has been enriched with two new associate members. The Association of Small Towns of Ukraine (ASTU) and the All-Ukrainian Association of Village and Settlement Councils of Ukraine joined NALAS family, which now has 16 full and 7 associate members. 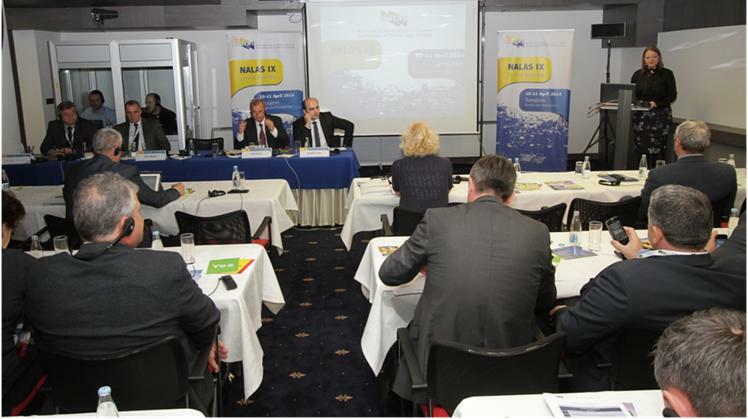 During the General Assembly, NALAS provided detailed information about its work in 2013. Mr. Kelmend Zajazi, NALAS Executive Director, informed about the key activities and achievements that earmarked 2013 for NALAS, such as: the role of NALAS as pillar dimension coordinator for the Governance for Growth Pillar of the SEE 2020 Strategy, NEXPO 2013 in Croatia, the impact of the Fiscal Decentralization Report, new strategic documents and tools in fiscal decentralization, solid waste management and sustainable tourism, and the advancement of the services offered by NALAS Knowledge Centre, with the establishment of NALAS E-Academy. This presentation also included detailed information about the financial report for 2013. Mr. Zajazi also presented NALAS work plan for 2014 and the planned 2014 budget. In 2014, NALAS will focus on establishing the structure and offer of the E-Academy, improving the work of the Task Forces, preparations for NEXPO 2015, widening and improving the services of the Knowledge Centre, enhancing its EU role and ensuring sustainability of the Network. The 2014 budget foresees bigger focus on managing EU projects. 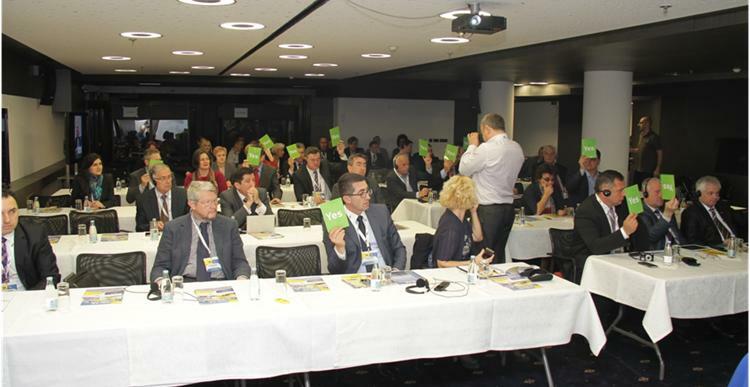 With a consent, delegates approved NALAS financial and activity reports for 2013, and the work plan and budget for 2014. During the General Asembly, NALAS promoted its E-Academy, aimed to bring NALAS Knowledge Centre to a higher level. Ms. Jelena Janevska, NALAS Knowledge and Communications Manager, presented the idea of NALAS E-Academy, its objectives and activities involved. 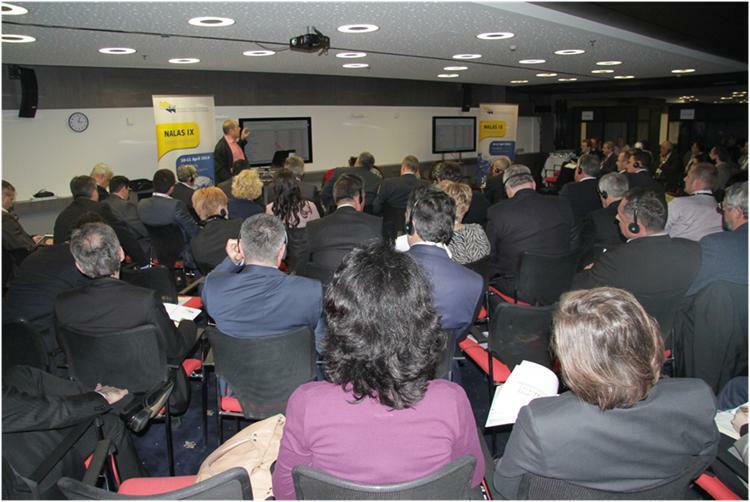 NALAS invited Mayors to nominate their staff for the first delivery, planned for September 2014. 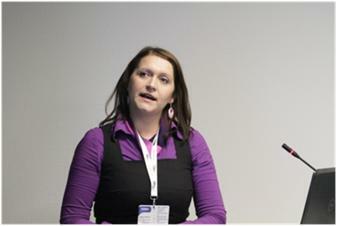 Ms. Tamara Nikolic from the World Bank Institute, spoke about the support to NALAS E-Academy. "The partnership with NALAS, as part of the World Bank Austria Urban Partnership Program is greatly appreciated and an expression of a successful collaboration. Till now WBI helped NALAS to institutionalize and operationalize its e-Learning platform; we supported translation and adaptation of courses and provided technical support on the topic of sustainable urban land use planning, street addressing, energy efficiency; also bringing in WBI’s e-Institute to lead on the wider WBI-NALAS collaboration to whole-sale regard to e-Learning wholesale approach. Given these two aspects, WBI-NALAS collaboration entailed many activities in the form of an on-going engagement. These activities can lead to NALAS becoming "regional anchor" for WB e-learning products in the future", said Ms. Nikolic. 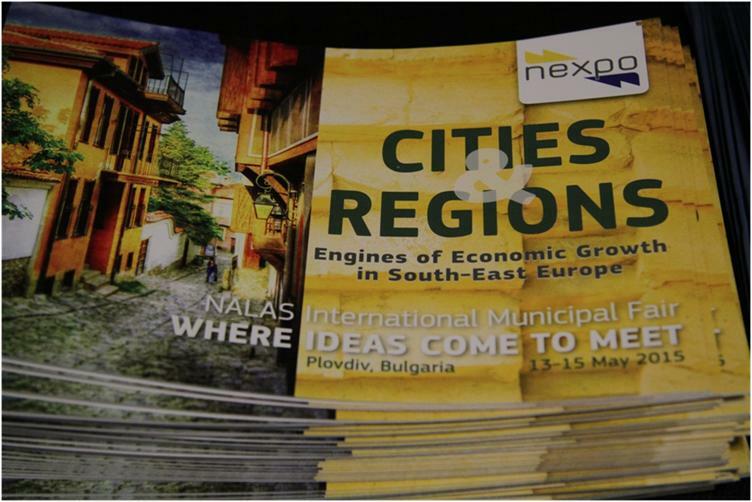 After the success of NEXPO 2011 in Sarajevo, Bosnia and Herzegovina, and NEXPO 2013 in Rijeka and Opatija, Croatia, NALAS will organize NEXPO 2015 International Municipal Fair in Plovdiv, Bulgaria, from 13-15 May 2015. 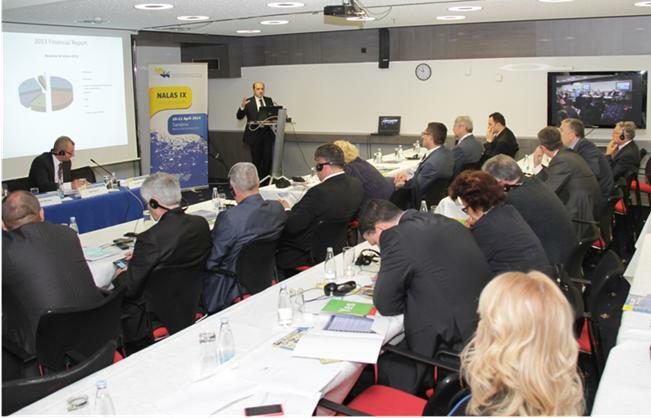 Mr. Boran Ivanoski, NALAS Project Officer informed the delegates about the details of this largest SEE municipal event, as well as what it will offer for SEE municipalities, businesses and development agencies. Ms. Radost Ivanova, from the City of Plovdiv, presented this Bulgarian pearl. Plovdiv is the sixth oldest city in the world and the first oldest city in Europe, in the top 10 most beautiful antique cities in the world. In the same time, Plovdiv is a modern city that has a lot to show: from one of the biggest fair centres in SEE, modern accommodation capacities, beautiful architecture, rich culture and diverse cuisine. "Plovdiv is ready to welcome all SEE Mayors and municipal employees at NEXPO 2015", concluded Ms. Ivanova. The last session of the General Assembly focused on Bosnia and Herzegovina. The representatives of the two Local Government Associations from Bosnia presented their work and the situation of local government in their country. 10 April 2014: Conference "Local Governments in South East Europe-Opportunities and Limitations in Addressing Increasing Social Demand"
The conference "Local Governments in South East Europe-Opportunities and Limitations in Addressing Increasing Social Demand" was opened by the Mr. Anton Peršak, President of NALAS and Mayor of Trzin, Slovenia. "Decentralization, one of the key issues that NALAS is advocating for, has a key role in ensuring development of the whole region. To illustrate this, if you see the situation in Europe, by rule, the most developed are the countries with the highest level of decentralization of government. Of course, here we speak about real decentralization, not only the formal one. This should be a message for most of the countries that join together under NALAS. This Network has been established to enable exchange experiences and learning from each other. 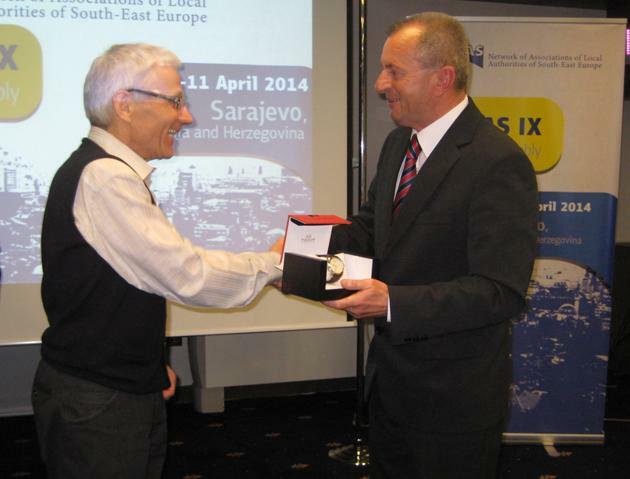 I hope this will be the case for many years to come", said Mr. Peršak. 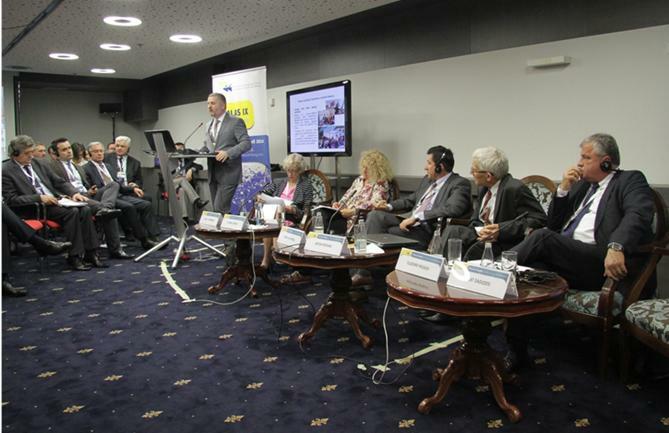 All speakers emphasized the role of NALAS in advancing the local governments in the South-East Europe. "This ninth General Assembly is taking place in a very important moment for our organization. Last November, the Ministers of Economy of the Region approved an important document, the SEE 2020 Strategy, which will serve to help our countries, the enlargement countries, to progress in their way to the European Union", said Mr. Gazmend Turdiu, Deputy Secretary General of the Regional Cooperation Council. "I would like to thank you very much for the contribution that NALAS has provided in drafting that part, that we call Governance for Growth Pillar, which is related to the functioning of the local administration and the efficiency of the public services. Our cooperation is not about to stop with that. By thanking you on the contribution you have given to us, I can guarantee you on the side of my organization that we will continue and deepen the cooperation with you in the successful implementation of the document", concluded Mr. Turdiu. 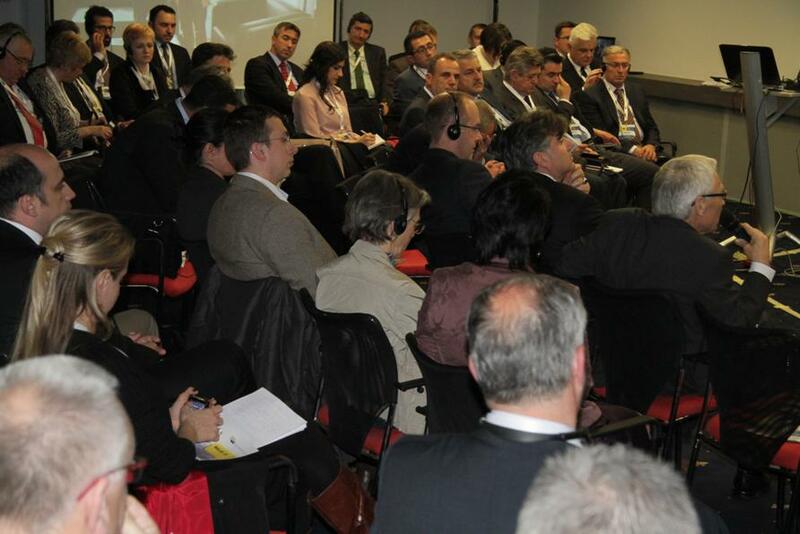 The first conference session focused on the Financial Capacities of the Local Governments in SEE. Moderated by Ms. Ginka Chavdarova, Executive Director of the National Association of Municipalities in the Republic of Bulgaria, Association that hosts NALAS Task Force on Fiscal Decentralization, this session presented the key findings of the latest NALAS Report on Fiscal Decentralization Indicators for 2012. NALAS Task Force Adviser Mr. Tony Levitas was a guest speaker. The report, prepared by the NALAS Fiscal Decentralization Task, is the third edition of what NALAS expects to be an ongoing effort to provide national and local policy makers and analysts with reliable comparative data on municipal finances and intergovernmental fiscal relations in SEE. The second session of the conference focused on Citizens Stocktaking in Good Governance. Moderated by Mr. Agron Haxhimali, Executive Director of the Albanian Association of Communes, this session provided a vivid discussion about the participation of citizens in the life of modern communities. Mr. Anton Peršak, Mayor of Trzin, Slovenia and President of NALAS focused on how can a Mayor respond to the increasing social demand for better governance and services. 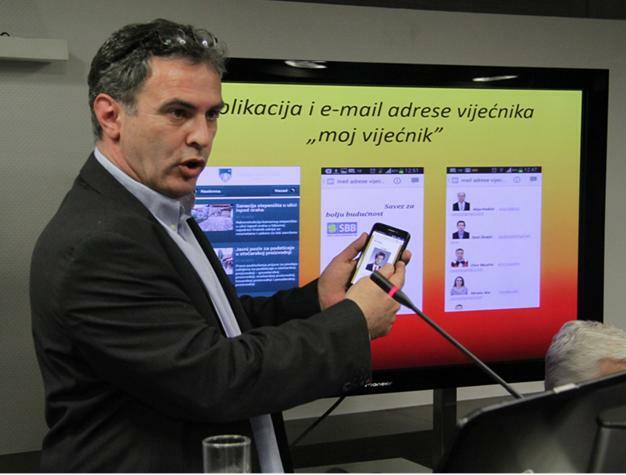 "Local community has an increasing role in modern, global societies", said Mr. Peršak. "People need to belong somewhere and their community is their closest". Mr. Peršak shared Trzin's activities to support the most vulnerable populations, such as housing for elderly people, volunteer activities to support elderly people, youth centres for creative economies and support to social entrepreneurship. Mr. Vladimir Moskov, Mayor of Goce Delcev in Bulgaria and former NALAS President, spoke about the citizen participation perspective of municipal service delivery. Mr. Moskov raised the question "Does citizens participation has a price?". He addressed the positive and negative aspects of citizens participation, concluding that is brings many benefits for the citizens and ensures easier implementation of municipal projects. Between rock and hard place: Local leaders dealing with citizens protests against national policies was the title of the presentation by Mr. Murat Daoudov, Lecturer of Marmara University, Turkey. "Mayors are often caught in between citizens and central government, so they need to balance between the two", said Mr.Daudov, illustrating this with examples from Turkey, EU countries and the Arab spring. He suggested that "active neutrality" is the most adequate approach for mayors in dealing with massive citizen protests against the central government. Ms. Susan Woodward, Professor at the City University, New York focused on the lessons learned from social movements, outbreak of public anger and political inertia. "It has been said that in modern societies media and social media have a big role in citizens mobilization and organization. This is for sure true, but what for far more speeds up this process is police reaction. Police force and brutality mobilize people who are neutral. Protests happen for different reasons, but this is the most common trigger for them growing big", concluded Ms. Woodward. 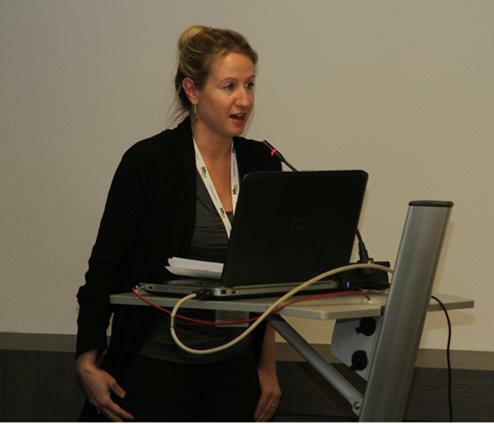 The presentation "Going out of the box: social enterprises, supporting youth and creative communities" by Ms. Jasmina Vidmar, the Executive Director of the Association of Towns and Municipalities of Slovenia, provided best practices in supporting and promoting social entrepreneurship. "Social economy, being between the private sector and the NGOs, takes care about the needs of the society, bringing economic value to local communities. Therefore, it is very important for local development", said Ms. Vidmar. The last session of the conference, moderated by Mr.Aco Pantic, General Secretary of the Association of Local Governments of the Republic of Srpska of Bosnia and Hercegovina, focused on municipal showcases. Mr. Naim Ismajli, Mayor of the Municipality of Shtime and Vice-President of NALAS presented their activities for opening the Municipality to its citizens. 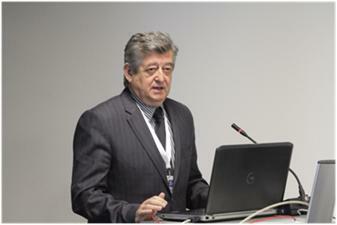 "When the public is informed well, it is a good basis for quality judgement about municipal issues", said Mr. Ismajli. Mr. Suad Mizurovic, a representative of Old Town Sarajevo presented "My councillor", a project that has been awarded as a best practice in promoting citizens participation. 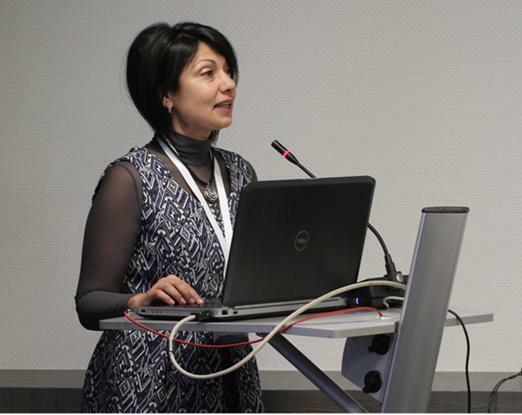 Ms. Radost Ivanova, from Plovdiv, Bulgaria, spoke about the utilization of EU funds for city transformation. Ms. Ivanova presented the key EU projects of Plovdiv and their impact, in different sectors, such as: water management, city transportation, social project, energy efficiency, environment and culture. Ms. Snjezana Hajnal from Prijedor, Bosnia and Herzegovina presented the impact of urban development project supported by NALAS and ORF MMS, that helped the city regulate the illegal settlements and improve the living conditions for its citizens. - Position Paper "SEE Tourism Goes Local"
To download the publications, please click on their title.